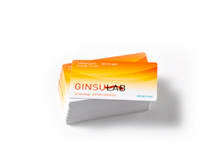 Your business cards say a lot about you, your company and brand, and your products and services. It’s important that they say only good things. Our business cards offer options and features to set them apart from the rest and convey quality and professionalism. 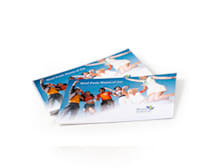 We offer a variety of paper stocks to give you the exact card you want. If you need a super-thick card that makes a lasting impression, try our 16-point C2S paper option. Are you looking for a softer touch? Try our 15-point velvet paper. If you want to be able to write on the back of your card, 14-point C1S is a great choice. Our premium linen paper stock adds a touch of elegance to any business card. No matter what kind of business card you are looking for, we have what you need! Why just use the standard size business cards when you have so many other choices? Create some interest with our slim size card, or go big with our 3.5-inch by 3.5-inch card. One size doesn’t always fit all. 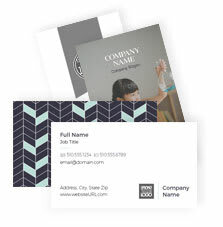 If you need an easy-to-personalize business card design, visit our Design Gallery, which is filled with customizable business card design templates. We have hundreds of designs, so no matter what industry, style or color you are looking for, we’re sure to have the business card design that will perfectly suit your needs. 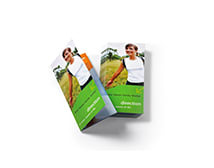 Want to get your business card into shape? Check out our die-cut business cards. the cards were exactly as ordered. they have helped my business grow.